The reality is Cancer touches everyone in their lifetime in some way. Both my parents, as well as grandparents, were afflicted by some form of this terrible disease. So in my role as President and COO for SNFC, I knew that I wanted us as an organization to do more and give back as much as possible. SNFC has a long history of donating funds and raising awareness against cancer. With the help of my team, we quickly aligned on the Michael Cuccione Foundation. The focus on children’s Leukemia, which is the number one cancer in BC children, was an easy one. go on a really long bike ride. When you are 6’5” and 290 lbs and you want to do something epic… go on a really long bike ride. As an ex-athlete, I am always looking for something to achieve and train for, and this seemed like a great fit up until 6 weeks prior when I was diagnosed with Atrial Fibulation (in other words, an irregularly irregular heartbeat). So now I hadn’t been able to train for a month leading up to this epic adventure, and with only two weeks left to get back on the bike before this journey, I was certainly anxious on what I could do. I told myself ahead of time to listen to my body as I knew that completing every kilometer wasn’t likely for me this year. South Surrey, BC to Cape Mears, Oregon… here we come! The first day went by really fast and I rode 100km from South Surrey to the turn off for Deception Pass in Washington State. The team did great, but it was evident on Day 1 that if we were going to truly survive all four days, that we would need to work better as a team. Our tightness in our peloton was off, our pacing was inconsistent, and we all knew that we would have to improve. It was pretty hot this day and I couldn’t have been prouder of how the team hustled to make the ferry at the end of day one. We landed in Port Townsend for the night. We had some good dinner and good laughs that first night. For Day 2, I started off in our support vehicle as I was having some challenges getting my heart rate under control. I joined the team after the first 60km and rode the final 80km. We were on US Highway 101 and the traffic was pretty crazy–trucks, campers, tourists, and everything else. You could start to really see us coming together as a team, working and communicating like a really tight knit cycling group. We finished at the Little Creek Casino after an exhausting ride and again shared some good food together. Day 3 started for me like Day 2, in the car. Unfortunately my A-Fib was pretty erratic that day, so I was unable to ride at all. 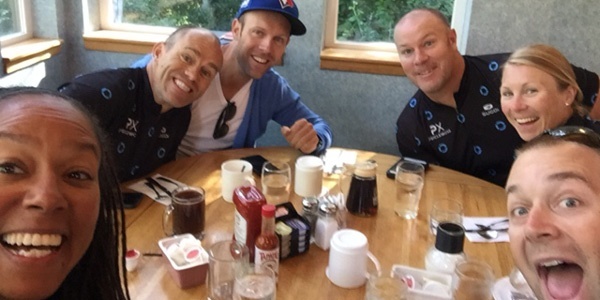 This was the longest day as the team completed 175km that day all the way to Astoria, Oregon. I was so proud of the team and how hard they worked to complete this day, they very much had a workman’s-like mentality and put their heads down and rode. At the end of the day, you could certainly see the physical toll this was having on all of them. The pain was real; the hot tub, ice, fascial release routines were constant when we were not on bikes or eating. The reality for me, and I think everyone on the team, was that our pain and suffering was nothing compared to the children fighting cancer. Cancer treatments and research have come incredibly far in the last 20 years; we hope that the funds and attention to this cause will only further help fight this terrible disease. 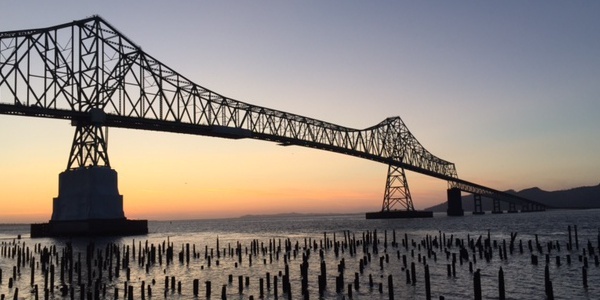 The home stretch was a 125km stretch from Astoria to Cape Mears, Oregon. I still wasn’t feeling well, but I wasn’t going to miss the final day. Riding along the Oregon Coast with the Pacific Ocean as your backdrop certainly makes for great riding views. The ride was challenging, but enjoyable, this day. 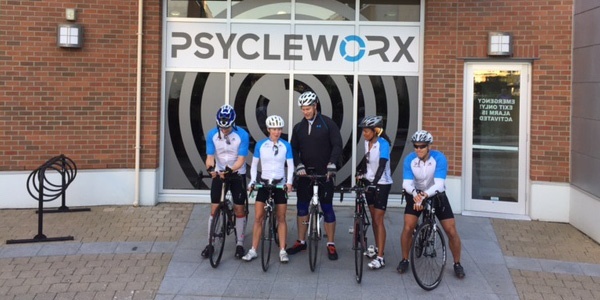 As we got closer, I was certainly reflective on my experience and that of the team's. There was no doubt that this experience is one that had changed me, and being part of a team like this again was truly rewarding. The team concept that I experienced is what moved me the most. It is this same concept that I believe is what is going to cure cancer someday. There are researchers, doctors, nurses, and many others all over the world collectively working to end this terrible disease. Graham Snowden was our undeniable leader, and the time and energy he put into this event was nothing short of heroic. Chad Benson, Gemma Slaughter, Ingrid Knight-Cohee–it was an honour to get to know all of you better and to share this experience with you. I genuinely applaud all of you as human beings. And lastly, it’s not too late to donate. Take the time to make a difference. 100% of all money raised goes directly to our charity of choice, the Michael Cuccione Foundation. Chris Smith is the President and COO of Steve Nash Fitness World & Sports Club. Chris joined the SNFC organization in 2010, as Vice President of Sales and Fitness. In 2014, he was named Chief Operating Officer, responsible for managing operations for our 22 SNFC locations and 2 UFC GYM locations across BC. 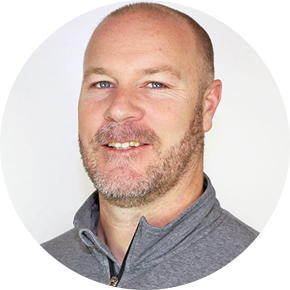 He oversees the company’s sales, operations, finance, marketing and senior management teams while continuing to lead the expansion of both Steve Nash Fitness Clubs and UFC GYM in British Columbia.